Texas’ first responders risked their lives to save people, pets and property after Hurricane Harvey decimated the gulf coast. The news has been full of footage of members of the military, law enforcement, firefighters, EMTs, medical professionals and other “Local Heroes” going above and beyond for their neighbors, and helping people save their homes. On September 11 of all days, we want to take a moment to thank the people who are on the front lines of every disaster, who are the first to arrive on-scene to help save lives, and to help us get our lives back together again. We're so grateful for their sacrifices and everything they do for our State and our Nation. We can't thank you enough. We've been thinking what we can do as Realtors to recognize the contributions that first responders and other Local Heroes make to our community. We decided to do this the best way we know how: by helping them find and move into the home of their dreams. San Antonio’s real estate market is fantastic, if you’re a seller. If you’re a buyer, the task of finding and closing on the home you love could be pretty daunting right now. That’s why we invite our Local Heroes to join us for a free mini-seminar to learn the ins and outs of successfully buying your ideal home in San Antonio. Our free homebuyers’ seminar is scheduled for September 26, 2017 from 7:00 - 8:00 p.m. in our office at 1102 E. Sonterra Blvd., Suite 106, in Stone Oak north of San Antonio. Reservations are being accepted at 210-872-8888. The homebuyer event is open to active duty military and veterans; police; firefighters and EMTs, medical professionals, teachers and others considering the purchase of a home in the San Antonio area. The homebuyer seminar will be presented by John Totin, principal of The Totin Group, Keller Williams Legacy and JT Fore, a loan officer with NRL Mortgage. We will discuss the current state of the market, what homebuyers must do to be taken seriously, how to get your financial house in order so you can get pre-approved for a loan, how to write a successful offer and special financing programs available for veterans, active duty military, law enforcement, firefighters/EMTs, medical professionals and teachers. Putting yourself in harm’s way, or spending years in school and going into debt so you can help others, deserves more than just a pat on the back. This is one of the ways we can help make life easier for the folks who are out there every day taking care of the rest of us. It’s free to register for the Local Heroes Homebuyer Seminar. Simply call us at (210) 872-8888 to reserve your space. And thanks again for helping make San Antonio such a wonderful place to live. Veterans, active duty military, police, firefighters/EMTs and other “Local Heroes” will get insider tips for navigating San Antonio’s hot seller’s market at a free home buyers’ seminar sponsored by The Totin Group, Keller Williams Legacy in Stone Oak on September 26, 2017. (San Antonio, TX) —September 8, 2017 -- Police, fire, military, and other “Local Heroes” will get insider tips for finding and buying the home of their dreams in San Antonio’s hot “seller’s market” at a free home buyers’ seminar scheduled for Tuesday, September 26, 2017. The event will take place from 7:00 to 8:00 p.m. at the offices of Keller Williams Legacy, 1102 E. Sonterra Blvd., suite 106 in Stone Oak. Parking is free. Seating is limited, so local heroes are strongly encouraged to pre-register by calling 210-872-8888. The homebuyer seminar is presented by John Totin, principal of The Totin Group, Keller Williams Legacy and JT Fore, a loan officer with NRL Mortgage. They will discuss the current state of the market, what homebuyers must do to be taken seriously, how to get their financial house in order so they can get pre-approved for a loan, how to write a successful offer and special financing programs available for veterans, active duty military, law enforcement, firefighters/EMTs, medical professionals and teachers. Totin, a Realtor® with over twelve years of experience in San Antonio, explains the rationale behind the event and his group’s Local Heroes commission rebate program. “Who are our local heroes? You’re some of the most important people in our community, as we’ve seen statewide in your response to Hurricane Harvey. Putting yourself in harm’s way, or spending years in school and going into debt so you can help others, we feel you deserve more than just a pat on the back. This is one of the ways we can help make life easier for the folks who are out there every day taking care of the rest of us.” It’s free to register for the Local Heroes Homebuyer Seminar. Simply call The Totin Group, Keller Williams Legacy, at (210) 872-8888. Founded by experienced San Antonio Realtor® John Totin, The Totin Group is a part of Keller Williams Legacy in Stone Oak. The agent and his team serve greater San Antonio, Texas, offering exclusive buyer agency (available at no out-of-pocket cost to homebuyers) and real estate listing services that include free professional photography and home staging. Members of the military and veterans, firefights and EMTs, teachers, nurses and doctors, and police officers can get money back at closing thanks to the Totin Group’s “Local Heroes” program, introduced in August of 2017. To thank them for making San Antonio a better place to live, clients in any of those professions will receive 10% off of The Totin Group’s commission. With the average San Antonio home selling for about $250,000, ten percent back at closing for one half of the typical transaction commission could be as much as $750. (San Antonio, Texas) — August 2, 2017 - A San Antonio real estate agent has launched a special program for “Local Heroes” including military and veterans, firefights and EMTs, teachers, nurses and doctors, and police officers. According to John Totin, the founder of The Totin Group, Keller Williams Legacy, their clients in any of those professions will receive 10% off of The Totin Group’s commission back at closing. With the average San Antonio home selling for about $250,000, ten percent back at closing for one half of the typical transaction commission could be as much as $750. 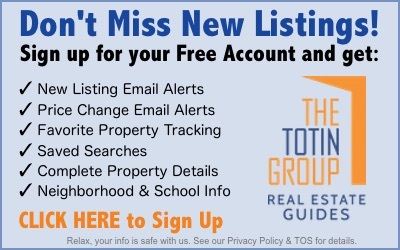 If The Totin Group lists the home of a “Local Hero” for sale, the seller will also receive free professional home staging, expert real estate copywriting and free professional photography in addition to cash back at closing. 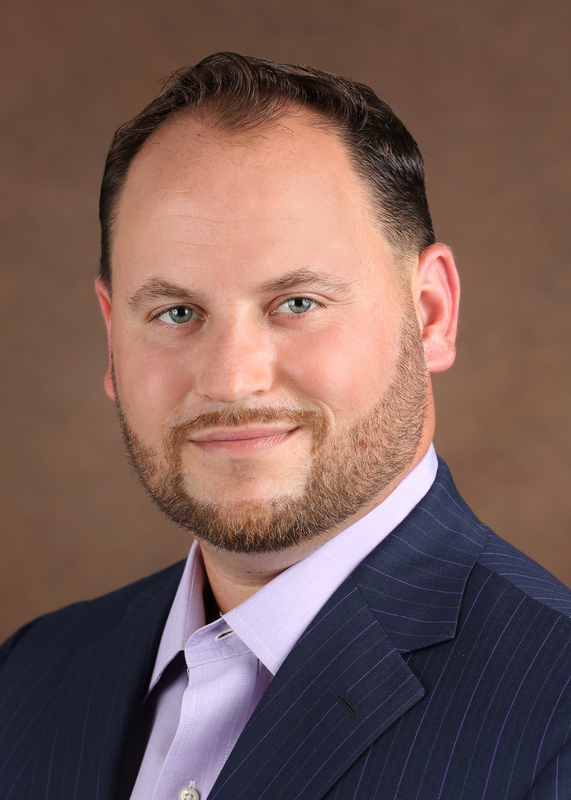 “San Antonio is a wonderful place to live thanks, in part, to the contributions these folks make in our community,” says Totin, who has worked in the real estate and loan industries for over twelve years. It’s free to apply to The Totin Group’s Local Heroes program. Simply call The Totin Group, Keller Williams Legacy, at (210) 872-8888 for more information. Proof of current employment in one of the “Local Hero” program categories is required. Founded by San Antonio Realtor® John Totin, The Totin Group is a part of Keller Williams Legacy. The Totin Group is headquartered in Stone Oak and serves the northside of San Antonio and the Texas communities of Boerne, Bulverde, Converse, Fair Oaks Ranch, Garden Ridge, Helotes, Live Oak, Schertz, Spring Branch and Universal City. To see the latest San Antonio MLS listings, visit SanAntonioHouseHunters.com and sign up for free email alerts. If you need a more accurate estimate of your home’s current market value, you’ll need to have it appraised. In contrast to CMAs, which are generated by software or real estate agents, appraisals are conducted by licensed experts called appraisers. Although you can order an appraisal yourself, most appraisals are ordered by lenders to determine the “fair market value” of a home, because the home is being used as collateral to secure a mortgage loan. A review of comparable sales is part of the appraisal process. But a licensed appraiser typically focuses on the observable physical features and condition of the home itself, and any outbuildings on the property, to come up with an estimated value. Presence of any visible safety hazards such as structural defects, exposed wiring, inoperable HVAC systems, a leaky roof, and so forth. If you’re considering listing your home for sale, the real estate experts at The Totin Group, Keller Williams Legacy, are ready to help with a free CMA, free home staging and free professional photography when you list with our team of professionals. Just call (210) 872-8888 to get a free, no-obligation Comparative Market Analysis of your home from a Totin Group agent today. It’s one of the first questions you ask yourself when you’re thinking about selling your house. If you suspect it’s time to put your home on the market, you may be wondering how much it’s worth so you can decide on a listing price. Unfortunately, when it comes to home valuation, you’ll never know what the real market value is until you sell it in an “arms-length” transaction. But there are ways to make an educated guess before your home is officially listed. In this two-part article, we’ll discuss the two ways—besides actually selling it—that you can get an estimate of the current market value of your house. When you hire a real estate agent to sell your home, one of the first things he’ll do is run a “Comparative Market Analysis” (CMA). It may sound complicated, but a CMA is simply a an estimate of how much your home is worth based on recent sales of “comparables” (that’s Realtor-speak for “homes of a similar size, age and style located nearby”). The advantage of a CMA is speed: there are many websites where you can type in your street address and get a CMA in seconds. Typically, an online CMA generator will review a database of county real estate filings, tax assessments and other data to come up with a number. However, the accuracy of a computer-generated CMA is questionable at best—because the computer can’t see inside your home, it doesn’t take intangible features and benefits into account, and it doesn’t know what buyers prefer in your area. As far as the typical online CMA generator is concerned, your house has the same value whether it’s located next to the best house in the neighborhood or the worst, or next to a great school or a bad one. An updated home with a view that borders a greenbelt is usually worth more to a buyer than an outdated home that overlooks a busy highway, but a computer doesn’t usually have enough raw data to take those kinds of real-world buyer preferences into account. The most accurate CMAs are prepared by a Realtor who is intimately familiar with the neighborhood (and its homes) where the subject property is located. He will evaluate both the hard data that online CMA generators use, plus intangible factors like neighborhood amenities, commute times and current buyer preferences. Get your personal CMA prepared at no charge by a Totin Group real estate professional here. Don’t miss out on the home of your dreams in a multiple-offer situation. San Antonio’s hot real estate market is frustrating buyers who don’t win bidding wars. In a seller’s market, it’s common for real estate listings to attract multiple offers. Have you made offers on several homes—without success? Here are several tips to help you write the winning offer in San Antonio’s hot seller’s market. Get guaranteed financing. Don’t write an offer until you have a pre-approval letter from your lender for a loan large enough to purchase the home (plus a little extra, in case you have to offer above the listing price). A “pre-qualification” letter isn’t good enough in today’s competitive market. You may also want to consider making a larger than usual Earnest Money deposit (EMD)—large enough to show the seller you’re serious and highly motivated to complete the transaction. Ask your Exclusive Buyer Agent what’s customary, and what’s working now in the neighborhood where the home is located. Go all-in. In a hot market, you can’t assume that yours is the only offer the homeowner will get. It may not even be the first offer. So make your first offer your very best offer. This is especially important in situations where you’re competing against other buyers. You may even want to offer above asking price, or add an escalation clause that says you’ll outbid other buyers up to a specified maximum price. Ask your Exclusive Buyer Agent for guidance on price and terms in the neighborhood where you’re looking. He or she can pull a list of recent sales in the area to compare list price with sale price. Romance the seller. Write the seller a heartfelt, personal letter describing what you love about their home and what it would mean to your family to live there. As best-selling author Bob Burg says, “people do business with people they know, like and trust,” so help the seller understand that you’re not just a faceless number on a sales contract. It’s not unheard-of for a homeowner to choose a buyer based on a touching and sincere letter, rather than the highest bid. De-clutter your contract. If you want to buy a new home in San Antonio in today’s hot market, you have to be willing to write the most seller-friendly offer you can. If you’re asking for personal property, new appliances, help with closing costs, a long inspection period, or extensive repairs, or if your offer is contingent on the sale of your current home, you may be putting yourself at a big disadvantage. Ask your Exclusive Buyer Agent for the pros and cons of writing an offer as free of contingencies and seller concessions as possible. Representation from your own Exclusive Buyer Agent can make all the difference when you’re trying to buy a home in the greater San Antonio area. Contact The Totin Group at (210) 872-8888 today to learn how your Exclusive Buyer Agent can help you find the San Antonio home of your dreams with no out-of-pocket costs to you. Are you still searching for the right home? You can create a free account on SanAntonioHouseHunters.com and get immediate updates when new listings come on the market.